Apart from excellence of engine and cozy ride experience BMW 320i has been offering the guarantee and roadside assistance for three years. The German company keeps improving its relation with buyers with the innovative approach. Look of the car is modern, sporty and bold so impression is quite captivating. Fuel economy of this premium class vehicle is also quite impressive as it requires just above seven litres for a hundred kilometer ride. Eight-speed automatic transmissions are as smooth as it should have been to let you enjoy the quick drive of 2.0 litre engine. Handling is great and comfort of riders is also good as potholes do not disturb cabin occupants. Liberty to select one of the four driving modes is really useful and Sport plus mode let you experience true potential of German engine. But fuel economy will be compromised while doing so. Headlights and wider kidney grille make give it an aggressive look and full LED taillights with chrome pipes are real compliment to this classy vehicle. Airbags are many and braking system is also present for safe ride. 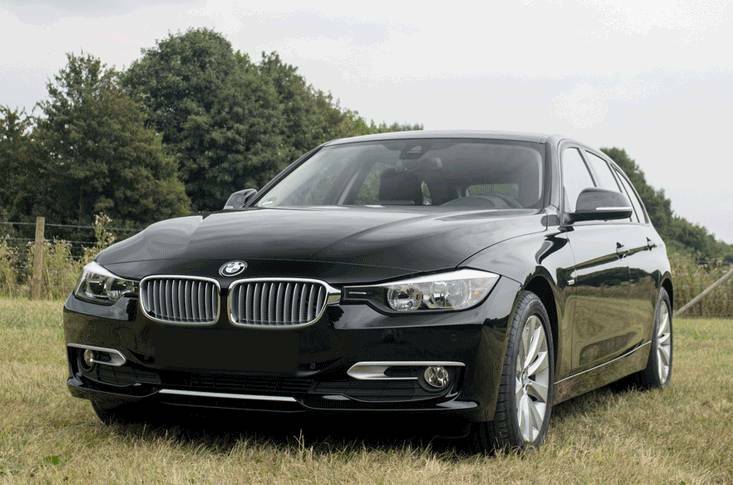 Continuous improvement has kept BMW 3 series very much in the competition of premium car segment. Turbo engine with an output of 180hp is very adequate for base level of this series. Acceleration is excellent and it takes 6.9 seconds to reach a formidable speed of hundred kilometers per hour. Strong build keep riders calm though engine noise when starts can be louder than expectation. Standard features are enough to enjoy luxurious car drive but extra price can get you leather seats, sunroof and navigation system. No heated seats that can be missed greatly in winter. The exterior colour range is wide so you get car of your choice in desired color. Almost all cars of this company appear identical when you get in the cabin and it makes it a bit boring. The dashboard has too many buttons, but every control is well in reach of driver. Whole setting is surely of luxurious style and material used has been excellent. Seats are comfortable and supportive so you love riding in it. Passengers of both rows have adequate legroom so it is a spacious cabin by all means. Sound system soothes your senses and also do not allow you to notice any noise entering the cabin. Luxury Line trim will make this setting further opulent as it includes most desired technology features. The engine is very powerful and the suspension keeps interior beautifully settled so you never realize when you get to speed limit of the road. It is equally good on city roads as it performs on highways. It is called perfectly drivers’ car because the producer always makes sure that it has been delivering the best performance machines. Comfort mode is ideal to enjoy a long journey in this new BMW 3 series car. Once you have got on the driving seat then nothing can stop you loving it.